I: With only two hundred dollars, Unique packed her suitcase and headed to New York City for a brand new start. It’s there that Unique meets big time boxing promoter, Kennard, and it is love at first sight. After nine months of living in the lap of luxury with Kennard, skeletons from Unique’s past show up and it will cost her a cool million dollars to not only keep her relationship but her life. Unique isn’t about to lose it all. With the help of her best friend, she devises a major heist, to pull it off all she has to do is stay alive. II: Living the life she has always dreamed of, Unique isn't about to let her past ruin her future with her fiancé, Kennard. But the tables are turned on her and Unique is fighting for her very life. As for Kennard, he is stunned to learn about her past, but more importantly he is not about to let anyone get away with hurting his woman. As Unique and her best friend, Teeydah, set out on a path of revenge, a new menace and a new betrayal rises.III: The blade of revenge cuts both ways. However, that is not going to stop Unique from getting those who are out to get her. And she is determined to be the last woman standing . . . 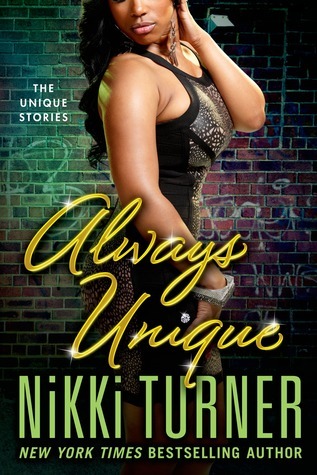 Always Unique gathers together three popular Unique novellas from the New York Times bestselling, African-American powerhouse author Nikki Turner. This story is about a woman named Unique, who grew up rough having to fight for everything that she got only to be sold by her boyfriend at the time to a cartel in Mexico. When she makes it back to the U.S. she is arrested and put in prison for a few years. While in prison she makes one friend her name is Teeydah, she is her friend for life. When she is released she makes her way to New York, and after a short time there she is at a party where she meets Kennard, a big time boxer promoter. He falls for her at first sight and brings her home and says she can live there. When a TV show is aired that shows Unique and where she now lives. Old enemies come into New York to make her pay for past sins. Never having telling Kennard, she and Teeydah are the ones that take care of business, until she ends up in the hospital. I am sure there will be some people that will think this story is not possible, but it is. Especially the friend from prison. Having worked in prisons for over 25 years some people make one friend and they have each other’s back and it is not just words. This book will make sense if you are from the streets and worked your way out, the struggle and fight. If not from the streets you will probably not get this book. 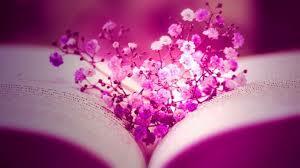 The characters are all very strong and each one has depth to them. I liked this book. I got this book from net galley.